A Parent Asks: How will my child react to HP? I am extremely grateful for stumbling upon your book, “The Solution”. I have been searching for an alternative since my precious daughter was born. She is now 17 months, extremely healthy, and vaccine free. I read the book and am very enticed. I will be meeting with a qualified homeopath on Saturday to register for the homeoprophylaxis program. I started out with confidence and now I’m getting cold feet. Perhaps it’s because I have not been able to find an HP blog or from other real parents like me. I need to know risks and possibilities before administering this program to my daughter. The homeopath suggested that I try to reach out to you here. Will my daughter suffer any major reactions to these nosodes? To what extent can she react to some of them? I need to know what to expect. We will briefly go over a homeopathic medicine chest to have on hand, in case….but I would definitely like to hear from others about different cases. If there is any help or details that you can give to us I will be forever thankful for your consideration. Thank you for your excellent book and your service that you do for the community. You are definitely a breath of fresh air! Hello LP. Thank you for your inquiry. There is one HP blog which is everydayhp.com, There you may find some answers. 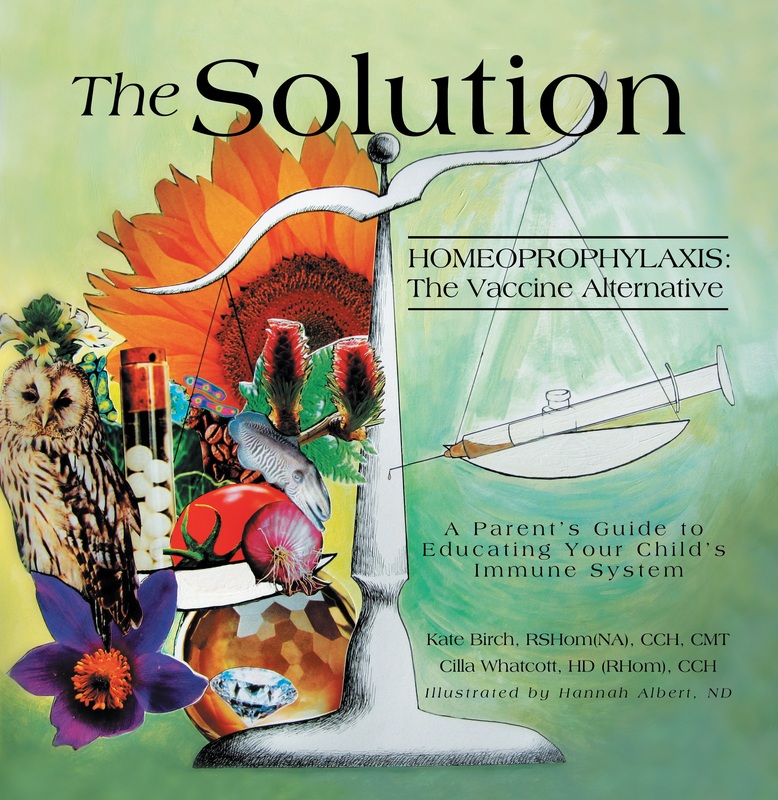 I am hoping your Homeopath/HP Supervisor will take the time to explain what we are doing with HP as far as educating the immune system with HP. As the doses are small and they are of the energetic imprint of the disease it is expected that there be some mild immunological expression in response. This expected response demonstrates that the immune system is being activated. We would expect this from a vaccine also as one cannot develop antibodies or immunity without there also being a fever or other demonstration that the immune system has responded to the information given to it in the vaccine. With HP we are seeing that some of the children are reacting by developing mild fevers, some changes in mood and sleep for a 24 hour period just after the nosode is administered. These immunological reactions are not side effects but the desired effects of educating the immune system with the energetic information of the disease agent. The reactions will pass on their own as there is no disease agent in the nosode just the energetic quality of the disease. The immune system will register that in fact nothing has entered. However, by educating the general immune system via the stimulation of the mucous membranes through the oral ingestion of the Homeopathic nosode, a fever may be initialed which in turn may awaken the deeper aspects of the immune system. There will never be a reaction like there is from vaccines as with a vaccine the crude disease agent is administered via injection along with a bunch of other ingredients to intensify immunological action. This is what is leading the adverse events reported from vaccines. If you are getting cold feet I would suggest you talk with the HP supervisor some more about what to expect. So far we have supervised over 450 children at various stages in the program and that which is explained above is what we are seeing. These are mild immunological rehearsals of disease, teaching the immune system how to get sick and how to recover. In this way the immune system becomes educated about the diseases in question and in turn, if the child were to contract the disease, they would be able to move through the disease very easily as the immune system would have already set up the elimination pathway to do so. The main goal of HP is to not necessarily to stop disease but rather to mature the immune system so it can handle disease. I can’t thank you enough for your prompt reply. Your response is exactly what I was hoping to hear. Fevers are reassurance that her immune system is working. I was concerned that she would develop weird rashes and other unknown reactions. I wish more people were aware of this alternative. I also wish people didn’t think that vaccines PREVENT diseases. It’s utterly misunderstood. After a long battle and separation from family over our refusal to vaccinate, I think this is a better route to go. Do you by any chance know if there are any schools that have accepted this program as a legit vaccine record? I will most likely home-school my daughter, but it would be nice to know of any experiences like this. Thank you once again for your kind reply. Dear LP, Part of our work is to keep the discussion going so that people really understand what vaccines are doing and what they are not doing. Elevated antibody titers show that the vaccines have produced an allergic reaction, not necessarily immunity. As far as the school acceptance, we have a lot of work to do to demonstrate HP is working as a public health care model. The main reason we have the program set up the way we have is to offer an alternative to vaccinations so people have choice. This entry was posted in HP Q&A, Uncategorized. Bookmark the permalink. 2 Responses to A Parent Asks: How will my child react to HP? A via sublingual também pode ser usada na homeoprofilaxia? Yes the doses are given sublingually.